This replaces the old “App Store” panel, and will list any updates when they’re available. 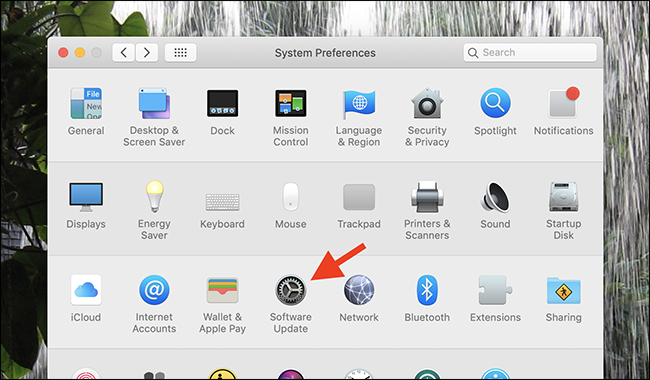 It’s also where you can configure automatic updates—just click the “Advanced” button at bottom-right. By default pretty much everything is downloaded and installed automatically, but you can change this by unchecking the options here. This might prove important if you have a limited amount of bandwidth, so keep it in mind. Honestly, I thought it was weird that system updates were even handled by the App Store in the first place, so it’s good to see them in System Preferences. Updates for the operating system itself should not be in a store that sells applications.